Last year, a picture of Facebook’s Mark Zuckerberg in his office went viral on the Internet, but the reason for it going viral was not only Zuckerberg himself but also the background in the picture showing his Macbook webcam was covered with a tape. Why was his webcam covered? Well, thanks to Edward Snowden who taught us a lot about privacy, exposing how government spies and hackers can secretly spy on users through their webcams without even turning its light on. 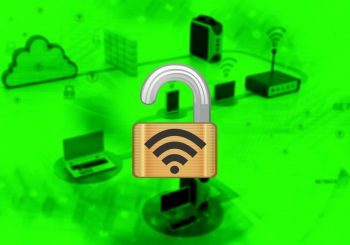 Since then, we at HackRead have been urging users to protect their privacy by respecting their privacy. Now, Spy-Fy, a group of privacy advocates from Amsterdam, Netherlands have developed a webcam cover which is small in size but great at work. Dubbed Spyslide, this tiny webcam cover not only covers a laptop webcam but also fits perfect on desktops and tablets. However, you may need to wait for the perfect match for your smartphone. The Spyslide webcam cover was launched on Indiegogo just a few hours ago. We at Hackread were lucky enough to get a sample from Peter van de Rijdt, co-founder of the project. 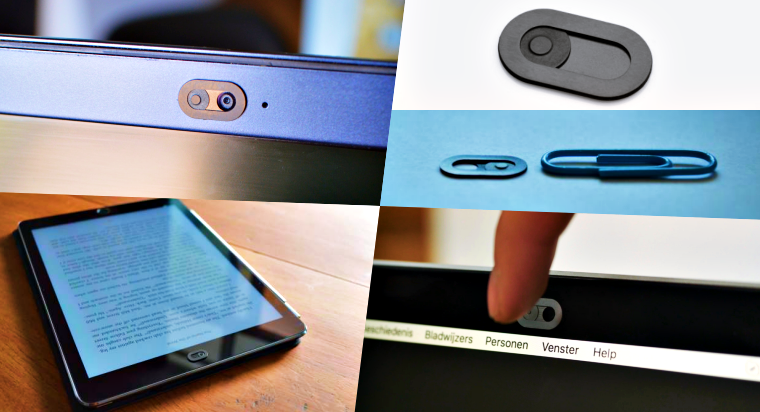 Under our use, we found the Spyslide not only useful but also to be the world’s thinnest webcam cover with 0.6mm in size, made of stainless steel, and with the ability to achieve 100% webcam coverage. Spyslide is not only elegant but also sleek in design. One of the best things we noticed about this cover is that it almost looks invisible once installed on a webcam, unlike stickers or tapes that make a device a bit rough looking. We tested Spyslide on Mac, but, the good news is that it has already been tested on several other devices including desktops, laptops and tablets from Acer, HP, Microsoft Surface, Lenovo, Samsung, Dell, Toshiba, Lenovo, Chromebook, and Asus. So if you are looking for a webcam cover, Spyslide might be a suitable choice for you. Another positive aspect of Spyslide is that it comes with built-in sticky material and takes less than few seconds to be placed on a webcam. A user does not have to put additional glue or any other sticky materials to affix it to a device. 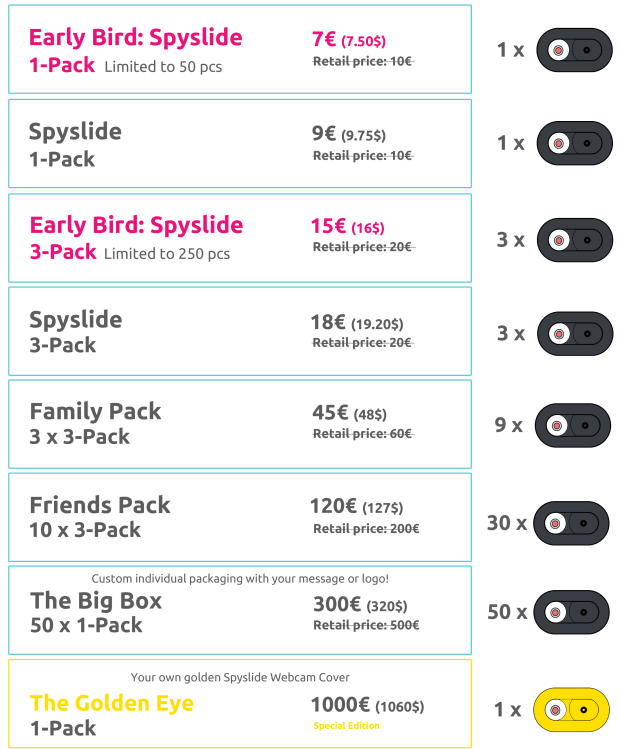 The price of Spyslide depends on the package you are going for however great news is that the shipping is free worldwide. 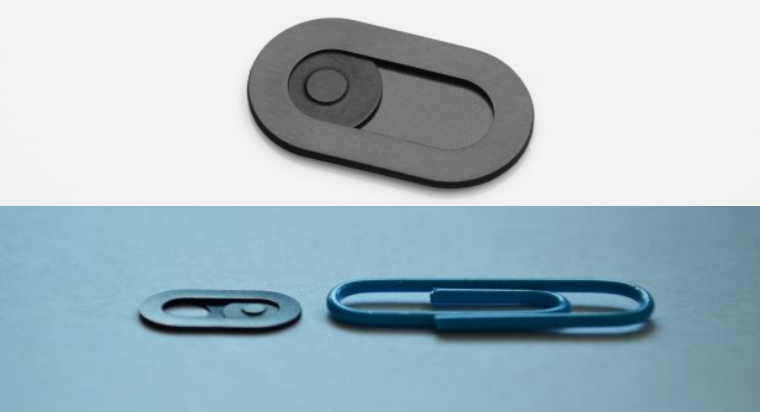 While we encourage companies to develop more products like Spyslide, it must be noted that currently, a number of webcam covers available in the market are difficult to install, some are too thick for laptops and may damage the screen or shipped with more than one part which are difficult to install and easy to lose. If protecting online security and privacy are your core values check out Spyslide on IndieGoGo and support Spy-Fy’s project right now.